Aiming at offering customers and patients the best medical treatments and services, Hong Ngoc Hospital continuously updates, renovates, and invests in medical equipment and facilities. The hospital boasts latest equipment and technologies supporting for complex diagnosis and health treatment in various departments from general surgery, internal medicine, and pediatrics to plastic surgery, aesthetics and therapeutic, and psychology and mental health. The machines and equipment are imported from leading technology destinations such as the United States, Japan, Korea, and so on, ensuring the world-class standard health care treatment and timely intervention. All machines and systems, including 64-Slice CT scanner, MRI Tesla 1.5 scanners, X-ray machine, artificial kidney, and more are up to date and well maintained. 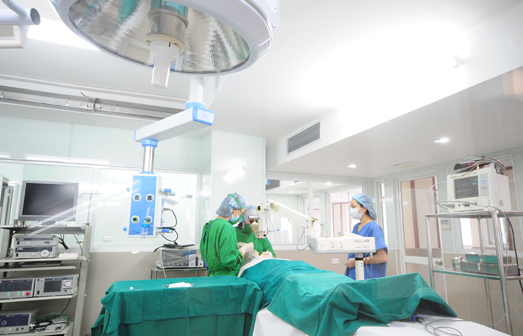 Modern facilities and equipment play a crucial role in offering high-quality medical services; therefore, Hong Ngoc General Hospital has continuously invested in and renovated facilities including the sterile operating area with 9 standard rooms. The operating theater is equipped with modern air cleaning devices, optimizing the level of sterilization. 99.98% of bacteria and dirt were removed. Temperature, humidity and air pressure are controlled to prevent against bacteria during the operating time. All contributes to improve the quality of surgery. At Hong Ngoc, service excellence is achieved through an ideal blend of medical brilliance and personalized care. 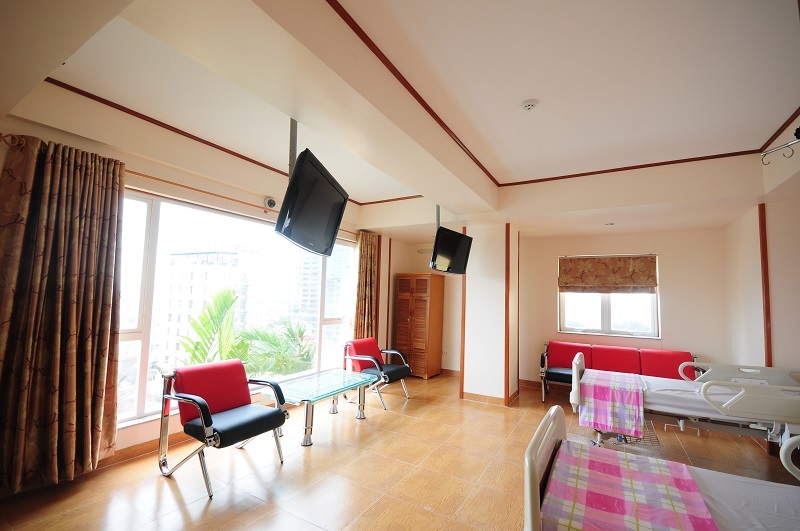 Therefore, the hospital is developed in hospital-hotel model, bringing comfortable experiences to patients during their examination and treatment time. Particularly, Hong Ngoc Clinic Keangnam and Hong Ngoc Clinic Savico are proud to be one of Vietnam’s most luxurious medical spaces meeting 5-star standards. The clinics are well-designed in a modern and classy style, giving patients a great time to relax although they are experiencing examination and treatment. From the lobby and receptionist to doctor’s rooms, spa and playground, all together complete our special model of high-end hotel-hospital. The hospital’s departments and bedrooms are designed in a luxurious and sophisticated style. Spacious and modern rooms with various bed types ranging from Deluxe to Privilege class. All of them are made available to meet the demands and requirements of all patients without any weariness of overload beds. Together with comfortable accommodation, Hong Ngoc Hospital offers patients and their family a comprehensive service system, including spa and restaurants supported by friendly and caring staff. Hong Ngoc Hospital’s accident and emergency department provides immediate medical attention to critical and life-threatening emergencies as well as treatment for urgent-care medical problems 24 hours a day, 365 days a year. All medical specialists are well-trained and ready to respond to emergencies efficiently and effectively. The Intensive Care Unit (ICU) is a specialized facility dedicated to patients who require intensive monitoring, nursing care and complex respiratory support. The ICU is staffed 24 hours a day by specialists and seasoned critical care nurses, nurse practitioners and physician assistants, who are committed to providing the highest level of clinical care. This facility leverages advanced technology to ensure patient safety. The ICU is also positioned in close proximity to the operating theatres so patients would receive emergency treatment in the shortest possible time. With mentioned highlight points above, Hong Ngoc Hospital is proud of medical technologies and equipment, service excellence of care, compassion and tenderness.